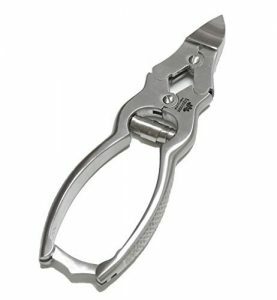 Are you looking for a good pair of solid, thick toenail clippers? Have you wondered how to cut thick toenails? Well… read on… I have the perfect solution for trimming those difficult toenails. The Equinox Heavy Duty Toenail Clipper is the solution that you have been searching for… it is truly a heavy duty toenail clipper and here is my review! My Rating: 9.7 out of 10 SPECTACULAR! 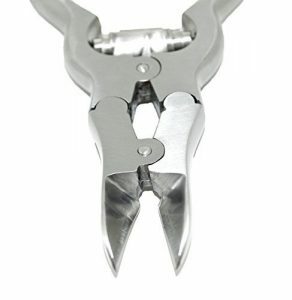 Are you looking for a good pair of thick toenail clippers? Well… look no more! Have you wondered how to cut thick toenails? I have your answers here! The Equinox Heavy Duty Toenail Clipper is definitely the solution that you have been searching for! This specialized instrument is of surgical grade and made of high quality stainless steel. The quality for this price can NOT be beat! With well-situated blades that have hand-sharpened edges, the precise cut that this instrument offers makes trimming even the thickest toenails a breeze! While this particular review is for the purpose of providing a reliable option for the maintenance of thick, fungal toenails, I cannot continue without noting that this product not only ranks superior in its ability to cut through even the thickest of thick toenails, but that it is a very accurate tool for trimming disease-free nails as well. Have you tried trimming thick toenails before? Did you experience the clippers sliding over the nail just as you were trying to push them together to make the cut due to the thickness of the toenail? Well… what really sets this device apart from any other nail clippers and one of the reasons that this is my favorite for thick toenails is the fact that these clippers are made just for this! The blades are made to fit over thick toenails! In addition, with the sleek design, no nail or fungal remnants catch in between the blades. These facts make trimming thick toenails a breeze with less chance of error! My second favorite component of this instrument is the fact that the Equinox Heavy Duty Toenail Clipper blades allow you to conquer even the thickest nails with one cut! With a distinctive handle design that allows you to comfortably cradle your fingers around this tool, and the weight of just 3.2 ounces, you can be confident that you will get the cut you desire every time! This is a very compact tool that can be both transported by any individual and stored very easily. Equipped with a Locking Key, this instrument can be safely stored away without the worry of sharp hazards. It’s Conclusive… The Equinox Heavy Duty Toenail Clipper Rocks! If you are searching for a heavy duty clipper for thick toenails (or normal or acrylic nails), this tool definitely gives you the best bang for your buck while offering unparalleled quality! I am looking / researching heavy duty toenail clippers. The one you review here (the Equinox 4 joint heavy duty clipper is the one I like best. But, I can’t find anyone selling it. (when you clik on the link to go buy it, there is a different product offered that is nothing like the one here. Have had that same problem on many searches for this particular unit. Do you know where I can find it……or contact info. for the manufacturer? Hello Dave! Thank you for your post! Upon a little digging, I did see that there was a glitch within Amazon which is where I recommend purchasing these amazing clippers. I did get to the bottom of this and the problem is corrected. You should now be able to purchase the Equinox Heavy-Duty Nail Clippers by clicking any of the links provided within my post OR by simply clicking HERE! I truly appreciate your honesty and concern as I do want the information that I portray to be accurate! Again, I always appreciate any questions and concerns! And… thank you for bringing this to my attention! Have a good evening! Follow up to my post: I did find the Equinox nail clippers. I appreciate you interest in trying to offer useful solid advice on health issues and health care products to those in need, without adopting the attitude that you only give service in exchange for money. Many doctors are just about the money……..Stay clear of lawsuits & keep your “conscience” clear by sticking to “standard recommended practice” for the diagnosis, make as much money as you can and life is good. Concerns for the Hippocratic Oath or patient outcomes is secondary, if even that. Dave… thanks for your kind comment! I am so glad that you finally found what you were looking for! I am a firm believer that you get what you give! My goal is to provide valuable information to people that are truly having concerns about their health in order for them to make educated purchases and not spend their hard-earned money on products that simply do not work! I love hearing back from those whom have purchased my recommended products for their ailments or conditions with such a sincere appreciation that they found me! That is why I am here!